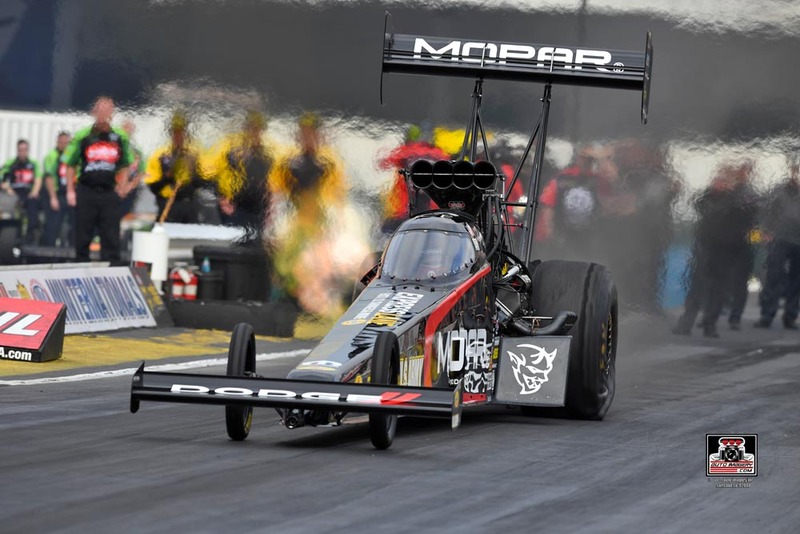 POMONA, California (November 9, 2018) – Leah Pritchett (Top Fuel) and Tommy Johnson Jr. (Funny Car) lead the nitro classes after day one of the 54thannual Auto Club NHRA Finals. 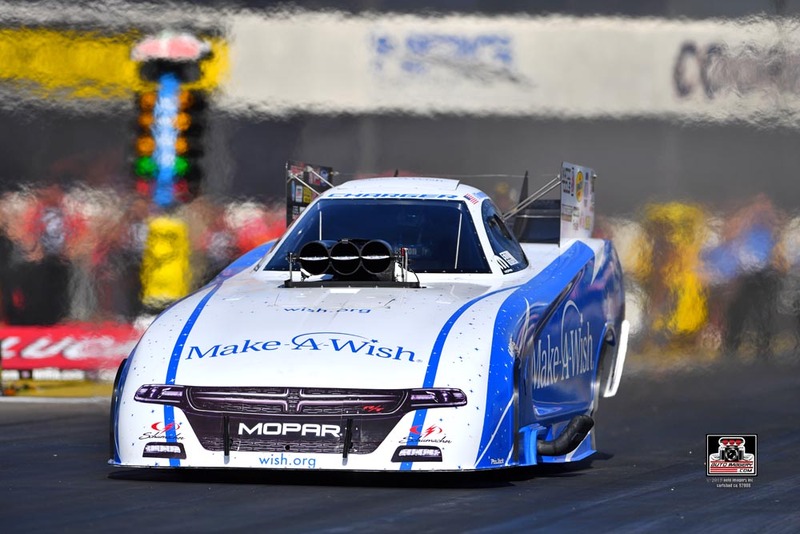 The Mopar-powered teammates swept Friday qualifying, launching to session-best passes during both sessions. Pritchett navigated the Mopar Dodge Top Fuel dragster to a Q2 run of 3.649-seconds at 329.34-mph to secure the provisional No. 1 position. The Todd Okuhara/Joe Barlam-led team held the top spot going into the second session after laying down a session-best 3.774 at 312.64 in the first round of qualifying. “The biggest thing is win lights, of course, but when you have this kind of weather, you can just feel the energy; you get to execute what you set out to do,” said Pritchett of racing to the provisional No. 1 spot at her hometown track.